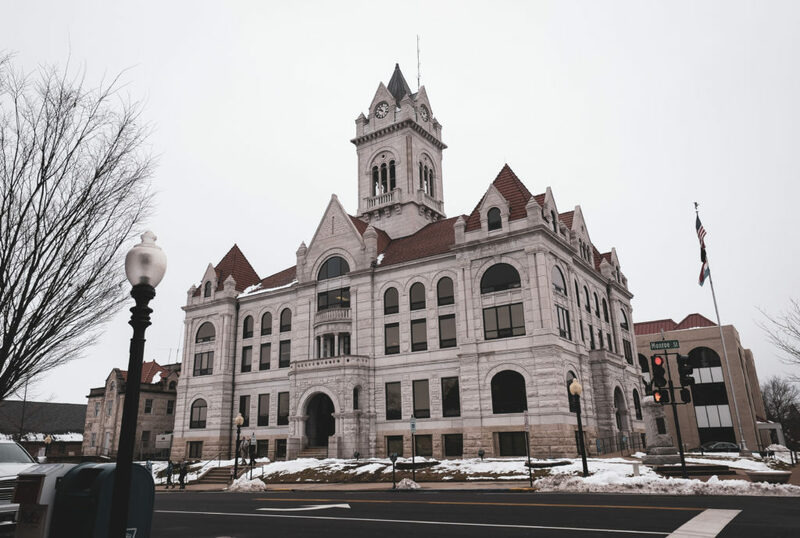 The team started the year off in Jefferson City, the state’s capital and the county seat of Cole County. 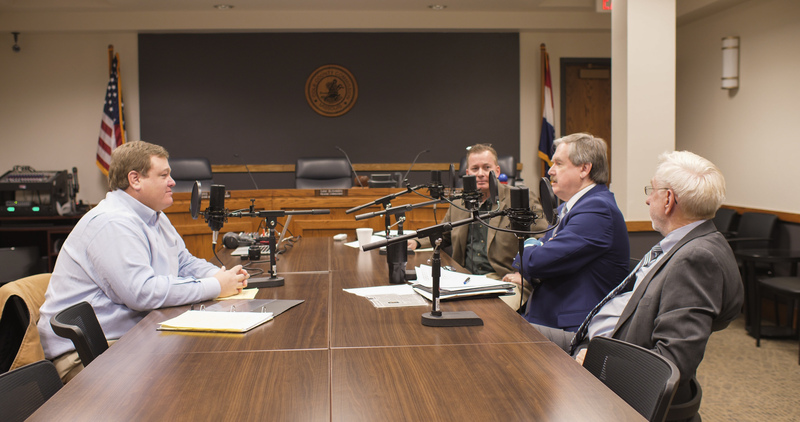 Host, Scott Faughn, sat down at the Cole County Courthouse Annex, just a few blocks away from the Missouri State Capitol, with Presiding Commissioner Sam Bushman, Three Rivers Electric CEO Roger Kloeppel and Representative Rudy Viet, who helped us continue to tell the history of Missouri one county at a time. Cole County was founded as the 25th county on November 16, 1820. According to the 2010 census, the population of the county was 75,990. The County is named after pioneer Captain Stephen Cole. Cole, born in Virginia, was an Indian fighter and settler who built Cole’s Fort in Booneville, Mo. Bushman was born and raised in Jefferson City. He first ran for office four years ago with no opposition and again in November. He has owned Samuel’s Tuxedo 47 years. Kloeppel has worked for Three Rivers Electric for 30 years. He first started as summer help and slowly move up in the company. He served as the Manager of Operations for 15 years and was voted by the board to become CEO on January 1st. He is the 5th CEO in Three Rivers Electric history. Viet is the new representative of Cole County. He was raised in St. Thomas and has practiced law for 40 years. 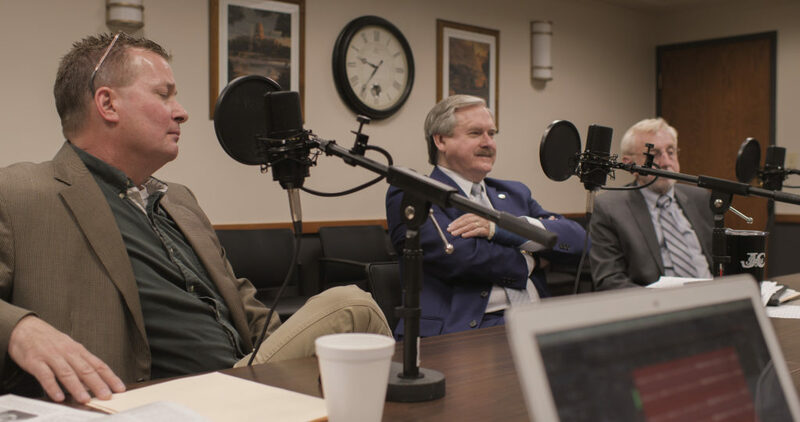 Be sure to tune into the podcast to hear about how our guests discuss the history and change of time in the community and legislature. The county is looked at as being French Territory, however Mound Indians, as well as the Osage both, originally settled in the area. Some of the earliest settlers to the county after the state was founded were Virginians and Kentuckians, who brought slaves with them. Tune into the podcast to learn about one of the first settlements, the Tennessee Colony, and settler John Inglish, who became one of the first Cole County Commissioners, or judge at that time. Kloeppel’s family settled in Osage County from Germany, looking for a place to really settle down in the early to mid-1800s. Viet’s great grandfather came to Cole County as a small child. His grandfather bought a home in St. Thomas and the family has always been part of the farming and construction business. Bushman’s family settled in Pennsylvania before the Revolutionary War, there are still three Bushman farms on the Gettysburg battlefield. His grandfather went to Gallop, New Mexico where he was a lawyer for railroads and met his grandmother who was from Jefferson City. They first settled in Herman before moving to Jefferson City. During the Civil War, Governor Jackson stole the state seal and took off with it, leaving Jefferson City. Jefferson City looks to be the place that many events would have taken place during the Civil War, but that wasn’t the case. Shootings and skirmishes did occur, but there were not as big as battles like in some areas. There are four public school districts in the county Blair Oaks R-II School District (K-12) in Jefferson City; Cole County R-I School District (PreK-12) in Russellville; Cole County R-II School District (PreK-12) in Eugene and Jefferson City Public School District (PreK-12) in Jefferson City. 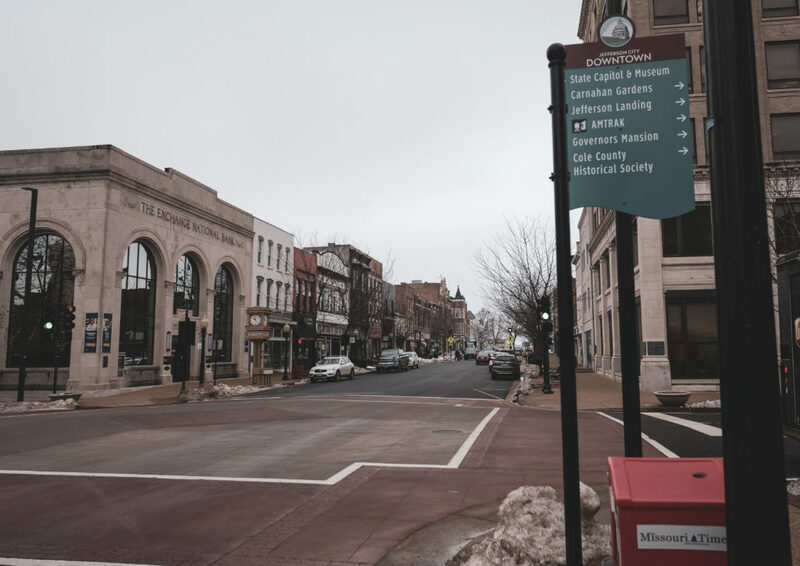 There are also 16 private schools located in the county as well as Lincoln University, in Jefferson City, which is a public, four-year historically black university. 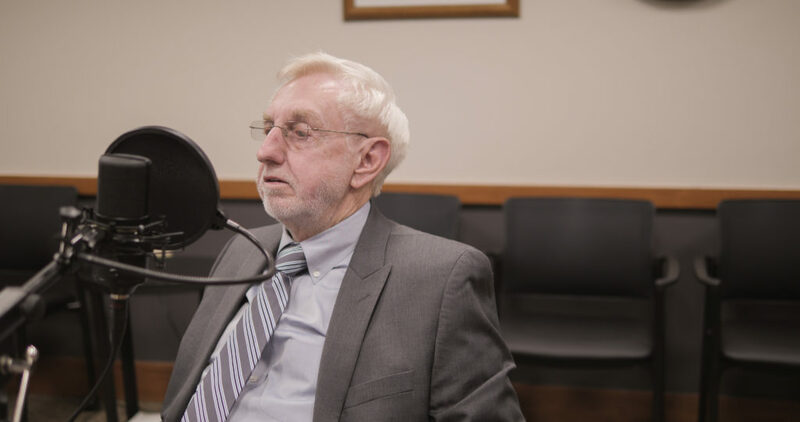 Be sure to tune into the podcast to hear Presiding Commissioner Bushman share some insight on his alma mater Lincoln University. Cole County has one public library called the Missouri River Regional Library. 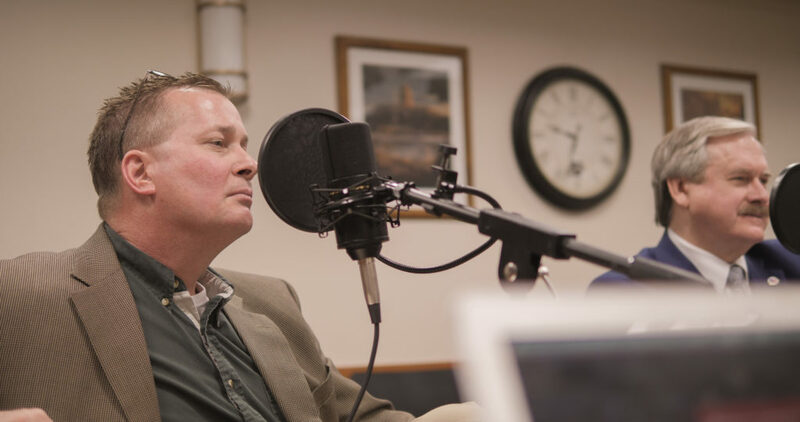 Politically speaking, Cole County is controlled by the Republican Party. Republicans currently hold all elected positions except for one. The county is also divided into five legislative districts within the Missouri House of Representatives. Some notable people that came from Cole County include speakers of the house Edwin Belch (1877); Alfred Speer (1909) and Thomas Graham (1961). U.S. Senator William Stone (1903) as well as governors John Edwards (9th Governor) and James Blair, Jr. (44th Governor) were also from Cole County. Three Rivers Electric has served the county since February 22, 1939, celebrating its 80th Anniversary this year. Although the main office is in Osage County, it serves the most meters and businesses in Cole County, a total of 22,000 meters combined. Outside of government, there is a big industry district with businesses, manufacturers and agriculture. Our guests said that if anyone is visiting Cole County they recommended seeing the capitol, the Missouri State Penitentiary to tour the prison, Downtown Jefferson City, the Thomas Hart Benton Murals and eating at Madison’s or The Grand.